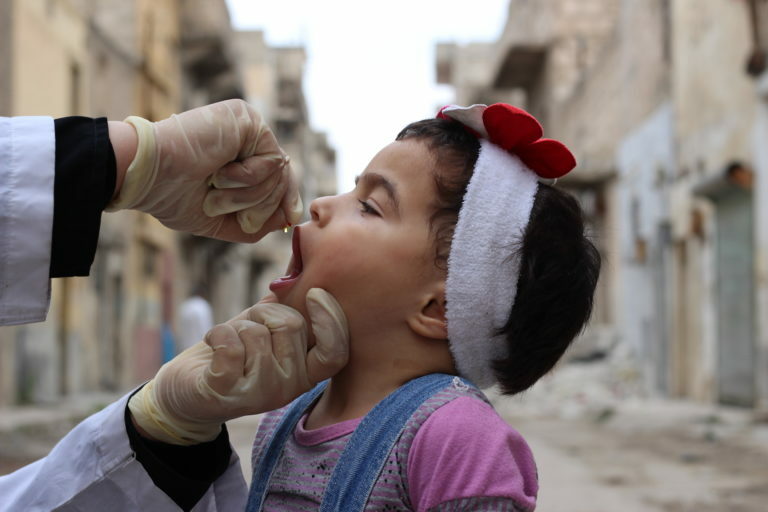 Millions of children under the age of five were successfully vaccinated against measles in Syria this month. UNICEF helped by providing 3 million doses of measles vaccine, and by letting parents know about the campaign through posters and flyers. 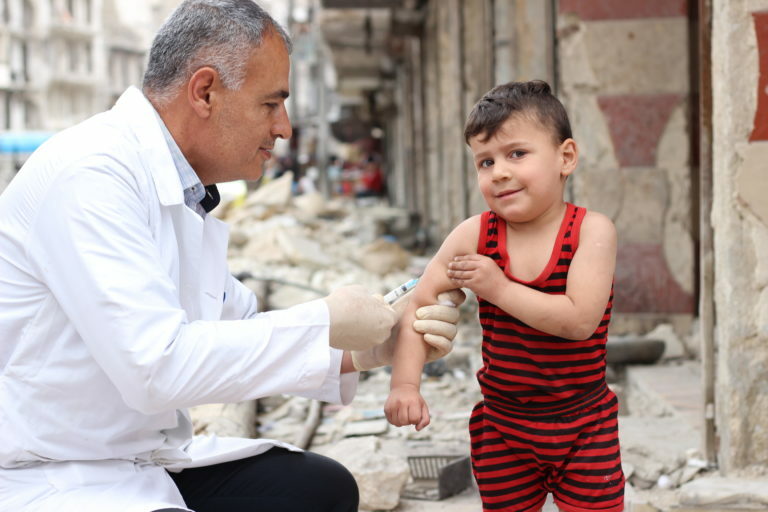 Before the current crisis, Syria’s immunisation coverage was one of the best in the region at 80 per cent, but by 2015 it had dropped to 41 per cent. 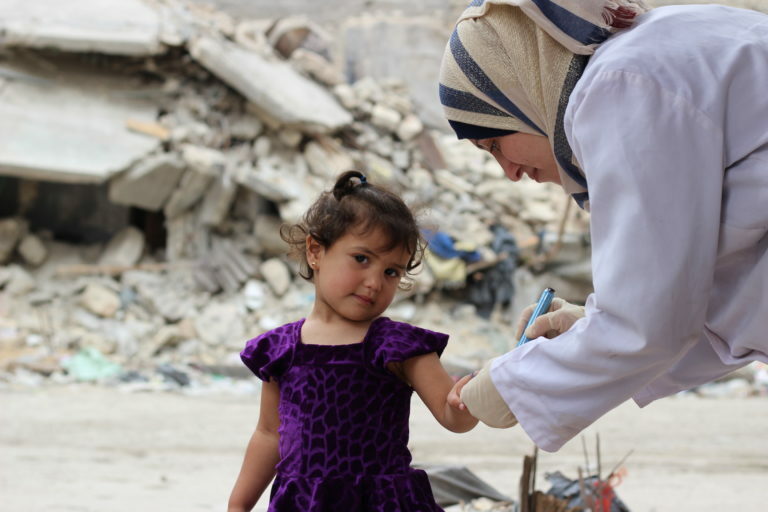 In some conflict areas routine immunisation has completely stopped, and diseases like measles have broken out. 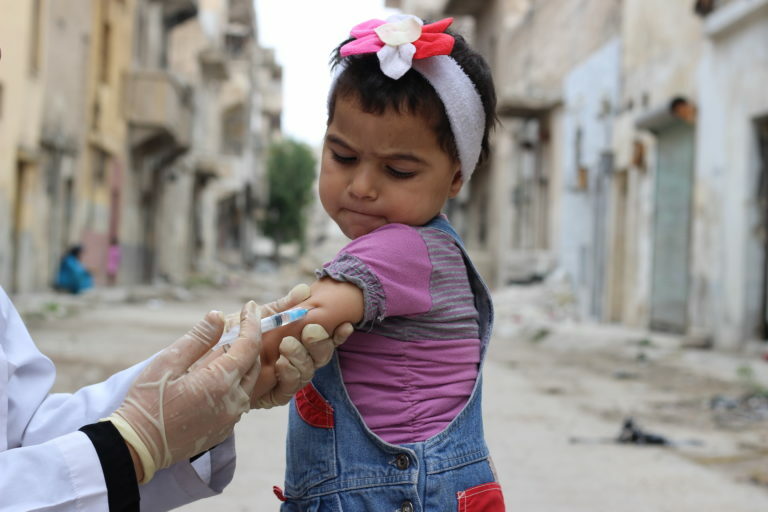 Rahaf (3) looks on worriedly as a health worker gives her a measles vaccination in Tareek Albab neighborhood in the eastern part of Aleppo city. 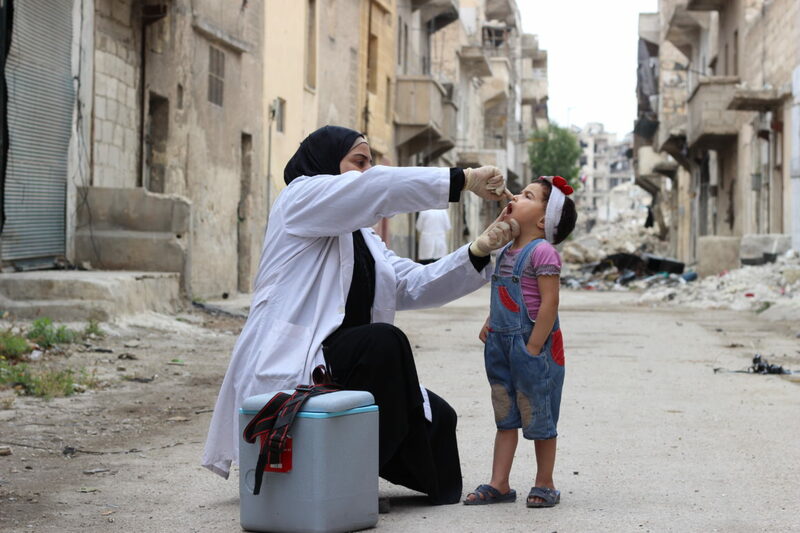 Rahaf pictured getting a vitamin A supplementation we routinely give to all children on this vaccination programme. If a child has a Vitamin A deficiency, they can be at greater risk of illness and death. Just two annual doses of high-potency supplements, costing less than US $0.04 per child, can prevent and correct the deficiency. Big brave Mouhammed (3) gets his shot in Helwanieh neighborhood in the eastern part of Aleppo city! Tasneem (3) stays beautifully still for her vitamin A supplementation. 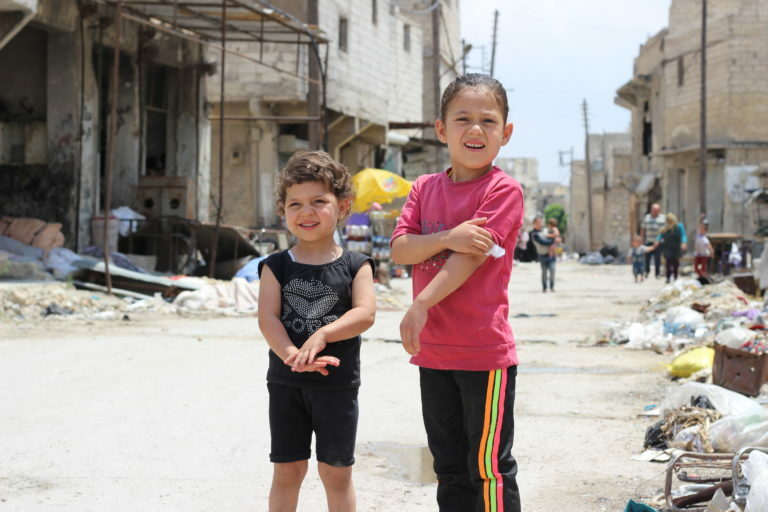 These two little girls proudly nurse their injection arms during a nationwide measles vaccination in Helwanieh neighborhood in the eastern part of Aleppo city.